Amsterdam is the biggest city in Netherlands. Other than being the biggest, it also doubles up as the capital city of the country. With a population of about 790,654 within the city, Amsterdam is one of the most heavily populated areas in Netherlands. The name of the city is derived from the river Amstel around which we can trace the origins of the city. Around the late twelfth century, a dam was built along river Amstel and not long after that the dam started attracting settlement around the area due to the easy availability of water. The first historical use of the name Amsterdam is in 1275 in the Floris vs. toll concession, which is in the form of a certificate dated October 27th of that year. The certificate exempted the inhabitants around the dam from paying the bridge toll since they were the ones who had built it. 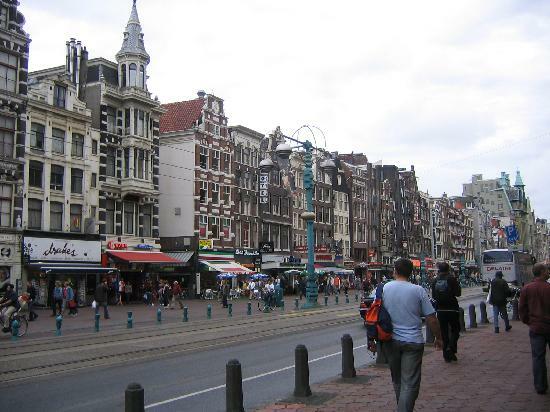 Along the next few years, Amsterdam started gradually developing. Some land was being reclaimed though it was not necessarily for farming purposes. The purpose of land reclamation was mainly to mine peat, which is a fuel. By 1306, Amsterdam had already been granted city rights and was fast becoming a pilgrimage city due to an unconfirmed Eucharist miracle. By the fourteenth and fifteenth century, the city had already grown rapidly. Solid fortifications were built around the city, eventually freeing itself out of the hands of the French colonists. The famous Dutch rebellion occurred at the beginning of the 16th century when the city rebelled against Spain’s Phillip II due to tax impositions and religious prosecution. This rebellion would continue for the next eighty years during which other religions and cultures found a place in the city. In comes the 17th century, considered as Amsterdam’s golden age. During this time, the city went on to become the wealthiest in the world. During this century the canals and canal houses were constructed, the urban areas quickly developed, the Dutch rebellion came to an end and the city involved itself in the Dutch wars. These wars eventually led to the economic meltdown of the city due to simultaneous attacks from France and England. The population also drastically dropped. The 18th century beckons and the Dutch country found itself yet again at war with France which further led to a worsening economy. During the next forty or so years, Amsterdam faced a series of challenges especially to its economy. Some of the challenges included a major riot and yet another war with France. From the beginning of the 19th century to the 29th century, Amsterdam eventually became a monarch resulting from the rise of Napoleon. The rest of the 20th century saw a new golden age rise in Amsterdam mostly due to the industrial revolution. It was however affected by two situations, which occurred during this century. First was the worldwide economic recession of 1920s and then the second world war. However, Amsterdam went on to reclaim part of its former glory. Currently the city is an important financial, economic and entertainment hub in Europe. It also prides itself in being one of the most cosmopolitan cities in all of Europe. Over the years, Amsterdam has enjoyed a continued large number of tourists mostly due to the many and varied historical and architectural features in the city. Some of the attractions include Anne frank house, the red light district, the Van Gogh, Stedelijk and the Amsterdam museums. All in all Amsterdam has undergone numerous rises and falls over the years, but as for now, it seems to have stabilized. The continued rapid development of the city puts it in a position to be one of the most important financial and economic centers of the world in the coming years. Find accommodation in Amsterdam on this website. What Kind Of Career Benefits Can I Get Through Personal Development? It is true that Amasterdam is a city that has done a pretty bad reputation in some ways, but he is a very nice city with many things that not many people had heard of them.